There are currently no Carthage Carthage, IL notable alumni listed. Be the first to add an CHS famous alumni. If you know someone who graduated from CHS in Carthage, IL that has passed away, you can create a memorial for them. 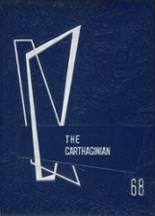 There are currently no memorials for Carthage Carthage, IL alumni. 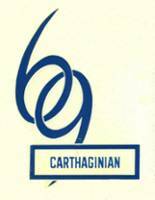 Alumni from Carthage High can use this site to get in touch with old friends from their high school in IL. 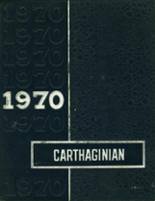 You can share memories of those activities that you were involved with at Carthage HS and you can view other alumni and read what other former students have posted about the time they spent at Carthage. Carthage High School alumni can relive their experiences from high school by sharing memories and pictures, reconnecting with those alumni listed, and more. Larry McDonald has someone searching for them. Roberto Canales has someone searching for them. Jason Lemley has someone searching for them. Donnie Godwin has someone searching for them. Larry McDonald registered as a CHS Class of 1964 alumni. Larry McDonald updated their profile picture. Larry McDonald added photos to their personal photo gallery. Jeanette Roberts DeWitt registered as a CHS Class of 1978 alumni. Jeanette Roberts DeWitt updated her profile picture. Jeanette Roberts DeWitt added photos to their personal photo gallery. Jeanette Roberts DeWitt requested a CHS yearbook from 1978. Sharon Winfree added photos to their personal photo gallery. Sharon Winfree updated her profile. Sharon Winfree registered as a CHS Class of 1978 alumni. Sharon Winfree updated her profile picture. Jan Tweedell Tweedell Bailey registered as a CHS Class of 1977 alumni. Jan Tweedell Tweedell Bailey added photos to their personal photo gallery. Jan Tweedell Tweedell Bailey updated her profile picture. Beth Carpenter Owen registered as a CHS Class of 1977 alumni. Beth Carpenter Owen updated her profile picture. Beth Carpenter Owen added photos to their personal photo gallery. Lisa Cole registered as a CHS alumni. Lisa Cole updated her profile picture. Lisa Cole added photos to their personal photo gallery. Diane MacDonald registered as a CHS alumni. Diane MacDonald updated her profile picture. Diane MacDonald added photos to their personal photo gallery. Tami Mitchell Long added photos to their personal photo gallery. Tami Mitchell Long registered as a CHS Class of 1979 alumni. Tami Mitchell Long updated their profile picture.